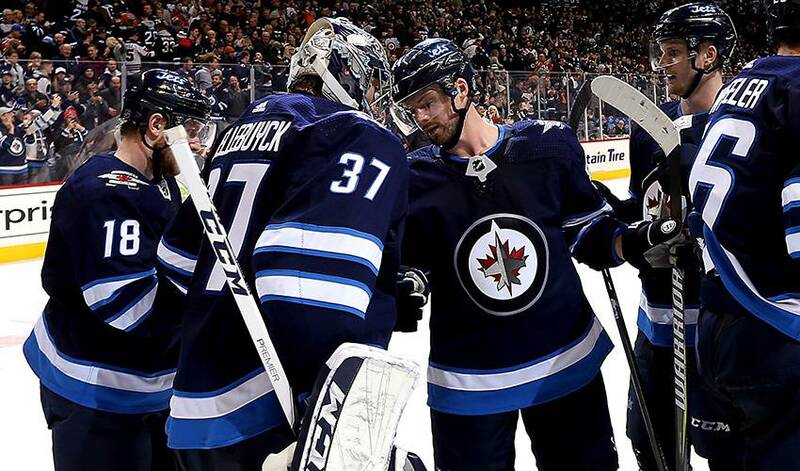 Currently in his third season between the NHL pipes, Connor Hellebuyck possesses the ability, proudly noted by his teammates, to instill confidence during moments that would typically elicit a much different response. Whether it’s facing a barrage of high-percentage shots with the Jets down a man, staring down a one-timer, or readying himself for a breakaway chance, the 24-year-old goaltender always exudes composure. “Helly's game is so solid in all areas, but something people might not see or be able to feel on TV is just how calm he is on the ice,” offered Morrissey, in his second full season with Winnipeg. “I think ‘calm’ is something that's used often when describing goalies, but I may have never played in front of such a poised, calm guy. It may not sound like it’s as important of a quality as some other goaltending attributes, but as a defenceman, having a guy like that behind you just makes the game easier. Prior to the NHL, the six-foot-four, 207-pound Hellebuyck made his presence known in U.S. collegiate hockey with the University of Massachusetts-Lowell. Over two NCAA seasons, he allowed just 84 goals in 53 games while backstopping his team to consecutive Hockey East championships. In 2014, he was selected as the inaugural Mike Richter Award recipient as the most outstanding goaltender in NCAA Division 1 ranks. Selected in the fifth round (130th overall) by the Jets six years ago, the Michigan native won his NHL debut on Nov. 27, 2015, against the Minnesota Wild. It was the first of three straight wins (he allowed one goal in each game). Hellebuyck netted his first NHL shutout on Dec. 27, 2015, making 30 saves against the Pittsburgh Penguins. He won 13 games in 26 starts in his 2015-16 NHL rookie campaign and was named to Team North America for the World Cup of Hockey 2016. Prior to the start of the 2016-17 season, Hellebuyck was handed the starter’s role for the Jets. This season, he’s already set a slew of personal-best marks. Not bad for a self-described “big and boring” goaltender who didn’t make the NHL Central Scouting's list of the top 36 North American netminders eligible for the 2012 NHL Draft. And that’s precisely what Morrissey does.